Good news for Freddie Krueger fans out there! He's back! Well, almost. 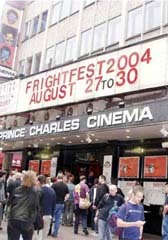 He's planning on slashing his way through your cinema screens on 7th Mar 2010. Here's a couple of trailer clips to whet your appetite. But where is John Saxon, I ask? Oh, is he not in it then? Gutted. Freddy Krueger (Jackie Earle Haley) returns in "A Nightmare on Elm Street", a contemporary re-imagining of the horror classic. A group of suburban teenagers share one common bond: they are all being stalked by Freddy Krueger, a horribly disfigured killer who hunts them in their dreams. As long as they stay awake, they can protect one another... but when they sleep, there is no escape. 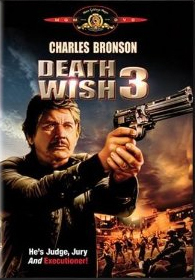 It’s amazing how much more fun Death Wish movies become when Charles Bronson gets his mitts on a rocket launcher.